An exceptional interior is incomplete without those who call it home. Whether it was left on Facebook, Houzz, Angie's List, Nextdoor, Yelp, Google or via phone, Woodmaster Woodworks extends a heartfelt thank you to all of our clients that have taken the time to leave us a review. We appreciate each of you! hank you for all your help. Chance was professional and courteous and knew exactly how to repair the drawer. There are times when it’s worth the extra money and have the right people take care of small projects instead of a local handyman who thinks they know what they’re doing and have excuses why it didn’t work. I will be sure to recommend Woodmaster Woodworks to my neighbors and friends. We installed bookshelves/cabinets on each side of the fireplace. I am so pleased with the finished product !! 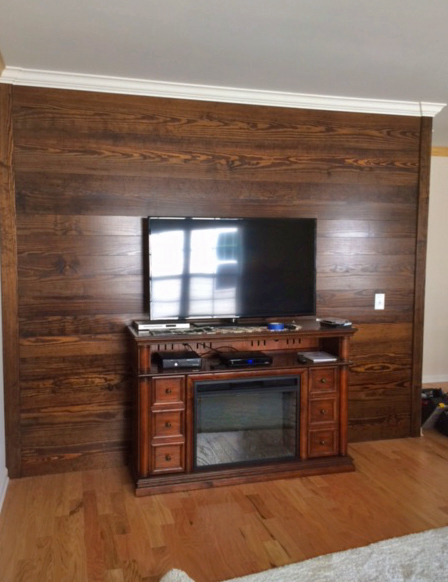 The entire experience of working with Woodmaster Woodworks from start to finish was just as expected. Timing was as indicated with no delays. The color match was exact with the existing woodwork. Follow up to check on our satisfaction was immediate after installation. The product quality is superior and exactly what we hoped for. Project cost was very fair. We highly recommend this company and will come back again for our next project !! After what seemed like endless searching we found Woodmaster! We couldn’t be more pleased with our new built in shelves, mud room and bead board under our counter. They were able to perfectly match the color of the shelves with our other teak furniture. Installers were extremely competent, professional and neat. I cannot say enough about how happy we are with the beautiful work done by Woodmaster. This was the second time we have used these talented people. Angela and her group are courteous, on time and clean up after them selves. Their attention to detail is excellent and the follow through afterward is second to none. I highly recommend them. I am extremely happy with the work done by Woodmaster Woodworks on my mudroom built-in. It turned out great just the way I wanted it. I have the storage that I wanted and it looks fantastic. Everyone I worked with was very professional. I would recommend Angela and her company to others who want built-ins to their house. Thank you! 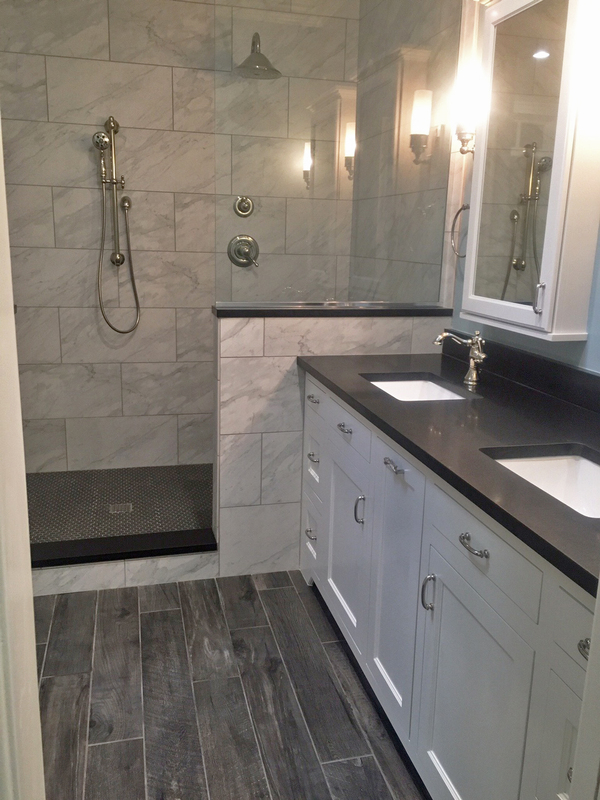 We are so happy with the way our bathroom turned out. The vanity is amazing! The craftsmanship is excellent. It not only looks great but the functionality is also top notch. We have a space for everything and then some, so we literally have no clutter. Workmanship spectacular! Pricing extremely reasonable and professionalism superb! I will absolutely hire again without a doubt! Woodmaster created a design for me that worked perfectly! I wanted built-ins with a desk, but wanted to be able to work with the desk facing out the window, as well as work facing the TV (for those long nights at the computer!). They came up with a perfect design with a roll out desk table that works perfectly! They were able to match to built in shelves already in the room and created a look that seems like it was always part of the room! I love it! I just wanted to say I am enjoying my new desk and bench. It is everything I wanted plus more. The workmanship is excellent. Your team was great to work with and I hope to plan a future project soon. I highly recommend Woodmaster Woodworks for any projects. We've had our bookshelves now for a couple of months. We get nothing but compliments from everyone who visits. We have a fairly substantial book collection and was afraid that our books wouldn't fit. Everything fit just perfectly. Working with the Woodmaster team was a great experience, and I'm sure that it won't be our last. Their attention to detail and care for customer satisfaction, has earned our repeat business. I was extremely pleased with the level of professionalism demonstrated by Woodmasters. After receiving 3 estimates and vetting multiple contractors to install my built in bookcases, I went with Woodmasters. They helped me create a plan, set up a timeline for that plan, and executed it in a timely manner. We had some trouble finding crown molding for the bookcases to match my existing crown, but they were able to finally locate it and bring my vision to life flawlessly. I can not say enough, how grateful I am for their professionalism. It is so hard to find people you can trust these days and I would hire them over and over again! Thanks Woodmasters. We are extremely pleased with our new built-in book shelves. It has made a great addition to our home. The process from beginning to end was flawless. Blake, who worked on our project, was very thorough and the attention to detail was amazing. Believe me....I watched most of the install and I learned a lot. We highly recommend WoodMaster Woodworks !! 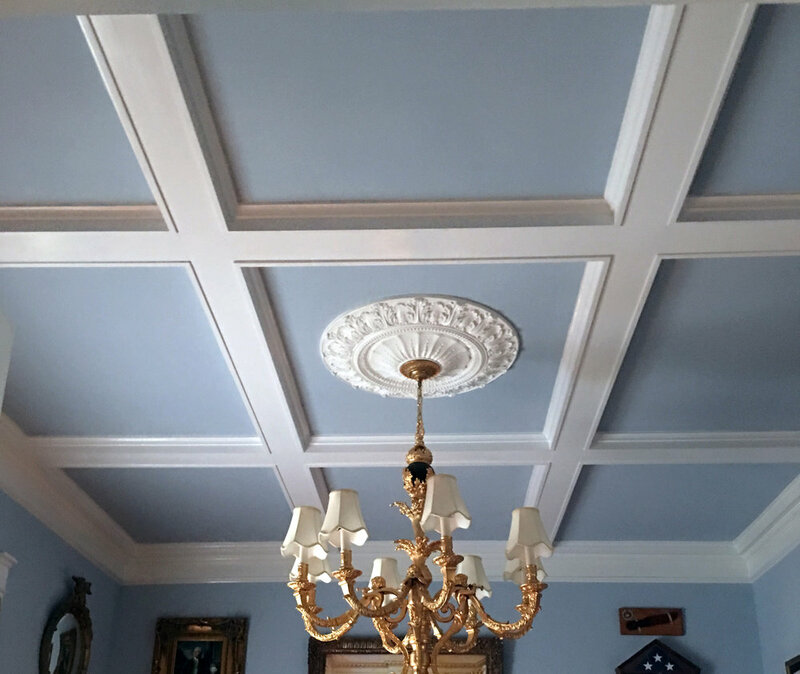 I could have not been more pleased with the entire process and the superior craftsmanship of work Woodmasters did in my home, recently. The built ins and trim work done in my home far exceeded my expectations. This company is one of the most professionally run companies I've ever had the pleasure of doing business with. Right from the start, with the initial consult and planning with Angela, the emails from design and scheduling, thru installation and follow up, I don't have a single negative comment to make. They are thorough, competent, professional and courteous. The finished work is beautiful !! I would not hesitate to recommend them to anyone who asked. I look forward to my next projects with Woodmasters! It has been a breath of fresh air to hire a company that fulfilled every promise made in a timely and consistent manner! It is so rare to find a company who believes that the customer's satisfaction is a top priority--this is what you can expect from Woodmaster Woodworks! Angela and her team are true professionals. We were very impressed with the quality of work, timeliness, & politeness of the workers. They always cleaned up after themselves & were very respectful of our home & needs. Hire Angela & her team for your project, you will be so glad that you did! 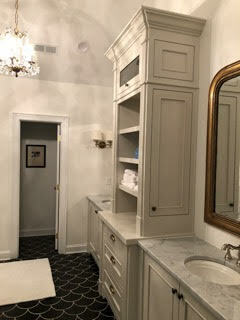 Our first experience with the personnel from Woodmaster's came shortly after moving into our current home when we decided to have a new linen closet added to the existing master bathroom. Everyone we dealt with, from Angela to the installers, were such a pleasure to work with and the final product far exceeded our expectation. There was never a doubt, when we decided several months later to remodel the kitchen, that Woodmaster Woodworking would be our choice for designing, building, and installing new cabinets, as well as refinishing all existing cabinets. Once again, the quality of the work has exceeded our desires. Their attention to detail makes it impossible to tell which cabinets are new and which were existing. Angela and her team will always get our strongest recommendation and our heartfelt appreciation for their caring attitudes. Good enough is never their standard work, exceptional is the final product. Woodmaster Woodworks installed crown molding, chair rails and panels within a week after giving me a quote. They were professional, neat and clean and on time. I would definelty recommend them for any of your carpentry needs. Bottom line, we’re really glad that we chose Woodmaster Woodworks to do the additions to our study and living room. We couldn’t be happier with the result which is just fantastic. 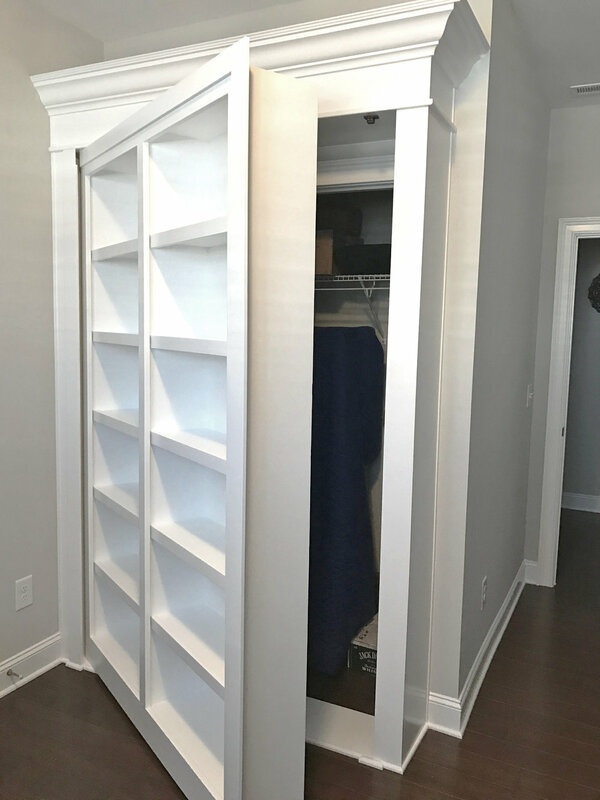 Several friends and neighbors have seen the finished product and have commented on how the cabinets and bookcase fit into their respective rooms so seamlessly that it feels as though they were always there. The ceiling, the bookcase and the cabinets all surpass our expectations. The craftsmanship is top notch and there is great integrity in the wood itself-so solid. First, let me say how excited we are to have the built-in nearly complete. The installation crew was very professional, clean, helpful and genuinely wanted us to be happy with the installation. The fabrication crew hit the design out of the park. We're so impressed with the quality of the built-in. The small detail of arching the middle piece has tied the built-in into our Asian decor. Please thank everyone involved with the project from the first contact at the estimate to fabrication and installation. Your team was awesome! From the first time I spoke with Woodmaster Woodworks to the end of all the work, I had a very positive experience. Everyone who worked on the projects were wonderful and professional. Angela was very informative and gave some great input in coming up with a design. She was such a joy to work with. My built-ins in the master bedroom are the best I've ever seen. And I do love my ship-lap wall in my bedroom as well. All the work was better than i had expected. Oh, and the two nightstands and the cabinet they refinished and distressed came out so beautifully. They are so much better than what I could buy in a store. Should I ever decide to do more upgrading, I will definitely contact Woodmaster. Thank all of you for such a wonderful experience. We had Woodmaster Woodworks Inc. remodel our bonus room cabinetry. We kept some of the original cabinetry, but had Woodmaster Woodworks Inc build cabinets to accommodate a 65 inch curved television. The workmanship is exceptional! You cannot tell what was existing and what is new. The stain matches perfectly to the original cherry wood. From working on the design with Angela to the craftsmanship of head carpenter, Nick, the process was very professional. Now I keep looking around the house for new projects to do with Woodmaster Woodworks Inc. We highly recommend Woodmaster Woodworks Inc. I would recommend Woodmaster Woodworks to anyone. They were very professional, prompt and responsive from start to finish. The product is superior to others that I have seen completed in new homes in the area and the just do not compare. People who come over and see our mudroom bench this it is something that we went out and purchased at a furniture store. The quality of the build is solid. And the staff that came to install it were awesome. They were on time, friendly, fast and courteous. No mess was left behind. No corners were cut in any part of the process to get our mudroom bench quoted, built or installed. You can tell that the staff at Woodmasters care greatly about the product and the customer. Angela and her team are top notch, they sweat every detail, are incredibly talented and conscientious. We've used them for several projects and would highly recommend them. Share your experience with Woodmaster Woodworks. Thank you for taking the time to let us know how we did! Please call us with any questions or concerns regarding your project at (919) 554-3707.